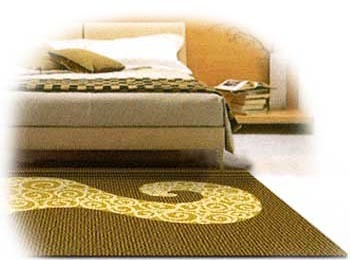 Fast emerging as one of the key carpet manufacturing sources in the world, Thailand is gaining a reputation for her self as a reliable exporter of high end quality carpets and rugs. Among the leading exporters for producing quality work is Inter-Krai. .....Door mats and bathroom sets (coordinated bath mats and shower curtains) in printed and crossed weaved cotton as well as in printed acrylic.